I was amazed when seeing on my computer the photos of that session, that this was the second click I pressed on my camera. 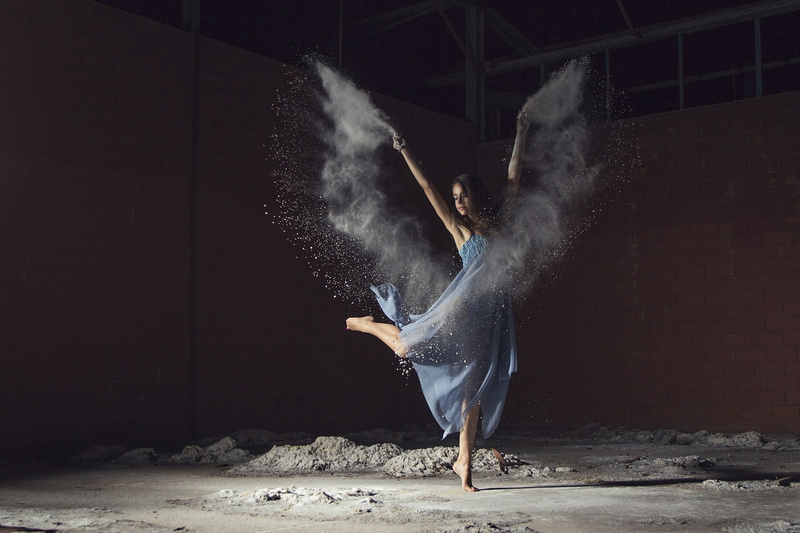 The "wings" from flour are not photoshopped, but captured!!! I love this shot! amazing work!